If you ever have given a verdict on how amazing the carne asada was when you tried the carne asada prepared on a grill then you’re about to give an even better compliment on this Mexican delicacy when you try the carne asada prepared on a skillet. What amazes me the most about this dish isn’t the name attached to it but the satisfactory taste it possesses. This dish will always be a stand out dish amongst others because of its distinct qualities (in taste, appearance, and satisfaction). This unique and satisfying taste has made it the most sorts after dish around now. Carne asada is currently being used in most social events in Mexico and America and usually appreciated by all. Its popularity has made it the most served dish in most parties and social gathering. I have never seen any dish so widely loved. A friend of mine once said after we had this dish at a party “if you have never eaten the carne asada, then you have no right to say you have ever had an amazing dish”. Just before I give you a worked categorized way of how to cook carne asada on a skillet, I’ll first tell you a little about this amazing dish. Carne asada is a dish filled with lots of protein mainly because the meat piece (skirt steak or flank steak) is the major ingredient. The nutritional value of carne asada is an added advantage this dish has out other delicacies. 28g of a serving can give as much as 7.3g of protein. Something which is relatively difficult to find in most dishes especially when you consider the importance of protein to humans. If you intend to set up a food plan, then the carne asada should not be left out of your list especially for the kids. This delicacy can be taken alone or most likely as a topping for other dishes such as rice, beans, spaghetti. It is a dish which can be prepared with a beef piece, skirt steak or flank steak. It can also be prepared using pork feet, chicken or even a fish (I once used a fish and am sure you will like it too if you do) according to ones’ own desire. This dish acquires its taste from the way the meat piece is being marinated. Marinating can be simple marinating by rubbing with salt or a spicy one by a combination of a set of exciting spice which we will be using soon. The most common way of preparing this dish is by grilling on a grill but this is not the only way of preparing this amazing dish. Carne asada has earned the name smoked carne asada because of the manner in which it is made. This Mexican dish that has found its way into a good number of homes and countries by immigrants who just can’t get enough of it and have decided to adopt this recipe after a wonderful first experience. 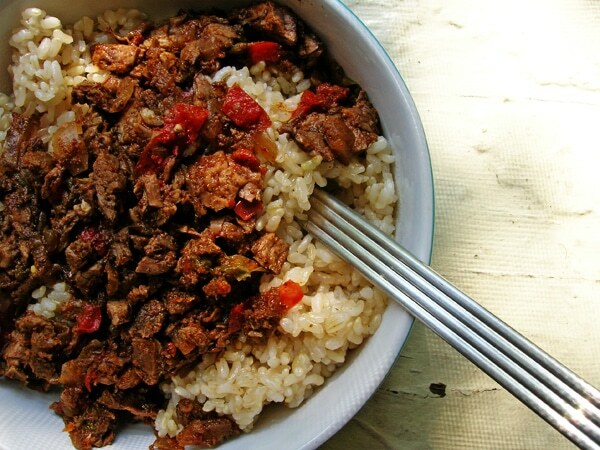 So just in case, you feel that not having a grill or inability to use one hinders you from preparing the carne asada, here is an even better way to prepare this dish by using a skillet in bringing out a much exciting taste. If you think grilling the carne asada gave the most amazing taste you ever had, then you are about to have a whole new experience when you cook carne asada on the stove top using a skillet. What is the maximum Carne Asada cook time on a stovetop? Most dishes don’t really require you to be so skilled in the art of preparing meals and same with the carne asada, there is no special specification as to who needs to prepare the carne asada. You don’t have to be to Mexican to prepare this dish or even a professional in the kitchen. All you need is that mindset that you are about to have a sumptuous delicacy and you are good to go. The statement “Carne asada takes a lot of time to prepare”, is what I keep hearing people say. Although it happened to me once and I spent close to 6 hours waving around this dish, firstly waiting for 4 hours for the marinating process before even having to prepare the meat piece. But that statement is so not true and I can confirm this having prepared this dish countless times using different meat piece (beef, pork and skirt steak), that I spent only 1 hour by following some basic guidelines and tips which I will be working out for you to make you better prepared for this dish. Most people marinade their meat piece while making the carne asada and hence, spend huge time waiting for the meat to absorb a portion of the flavor, so the meat ends up not even fully marinated when people lose patients waiting. 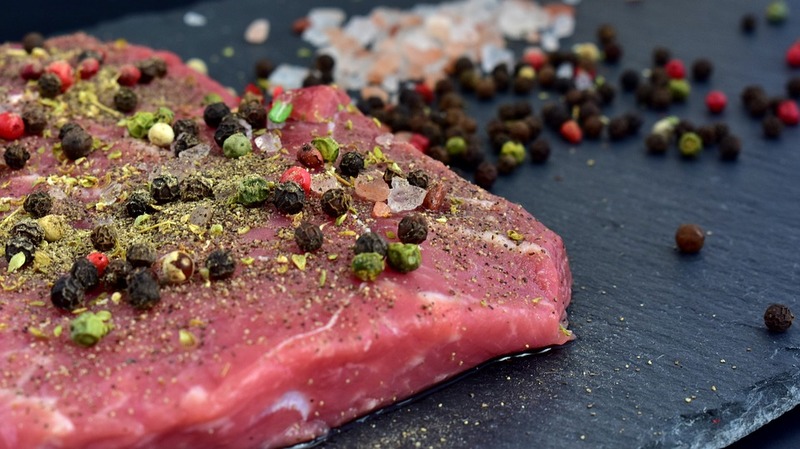 The flavor never truly gets to the top when marinating is interrupted and that is why it is very important to marinate (to flavor the meat piece by soaking in mixed ingredients) hours before the intended time for the preparation of the dish usually 24 hours. This saves time and ensures that the marinating process is complete. This process of marinating before time will require you to prepare the marinating ingredients and undertaking the procedures for marinating. You don’t really have to get in the kitchen just to marinate. It is a very easy thing to do. You can just do that while preparing another meal just like I do. I don’t get in the kitchen just for that and even if I do sometimes, it doesn’t take more than 10 minutes for me to complete marinating. So have no fear of time spent. 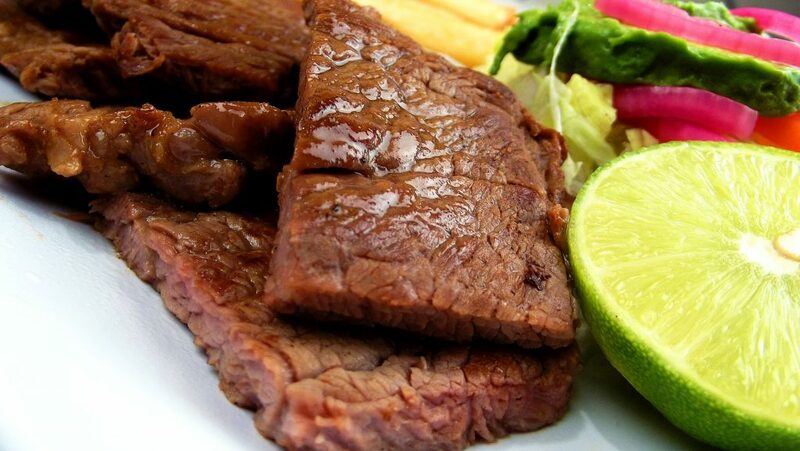 Marinating is the major time-consuming part of preparing this dish and this can be done with some ingredients which are used in the preparation of carne asada. Marinating should be done 24 hours before the intended time of use. This ensures that the meat piece is rightly flavored, tender and easy to prepare. This process helps the meat piece (skirt steak or flank steak) to absorb the flavor. Marinating the meat piece can be done by pouring all marinating ingredients such as the chopped garlic, shredded lettuce, salt, dices onion, juice (lime juice and orange juice), cumin and pepper into a deep clean bowl and mixing well until a considerable mixture is achieved (Always ensure to rinse the plastic bag with warm water or soak in warm water before use). Pour the mixed ingredients into the plastic bag or bags, seal the bag and toss severally to ensure that all sides of the skirt steak or flank steak are coated with the ingredients. Place in a refrigerator and refrigerate for 4 – 6hours. Pour the remaining part of the ingredients into a bag and place in the refrigerator to be used later (If in excess). 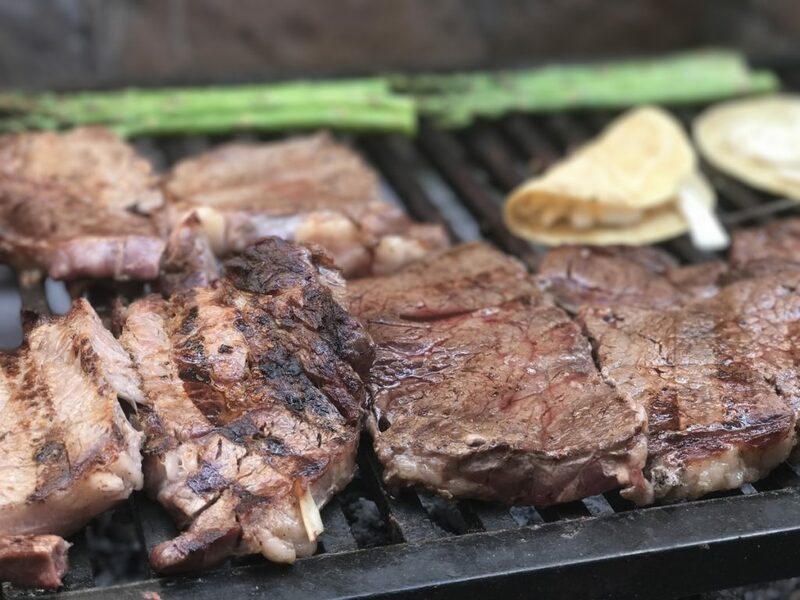 There are basically two ways to prepare the carne asada which are preparing on a stove top and using a grill (which is the most popular method) there is. 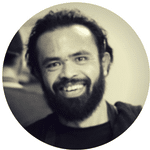 I will be giving detailed instruction on how to use both methods and also state the use of one over the other. Just so you know when to use a stove top and a grill. But let’s look at how to prepare the carne asada using the skillet and then the grill. Using a skillet to produce this dish is not a common practice amongst many. But once I sensed I could relieve myself of the stress of setting up my grill by using this simple and unique technique, I knew I had made a breakthrough. Preparing on a grill is a lovely way but takes a lot of time especially when you have to set up the grill. One unique advantage the stove top method has over the grill is eliminating the time spent setting up the grill, eliminating the production of grill lines (which causes concerns during the serving of this dish) and the energy use. Stovetop technique gives convenience in preparation and gives control in terms of regulating the cooking heat. Cooking on a skillet gives a better taste by preventing quick evaporation of the absorbed ingredients. Having already marinated carne asada as desired, it comes down to the most important moment therein. With the skirt steak or flank steak now marinated before the time of use, bring out the bag containing the skirt steak or flank steak from the refrigerator, remove the meat piece from the bag and discard the used ingredients. Turn on your stove and set the heat to medium-high heat. This will prevent burning your meat piece if the pan is too hot. Place a clean skillet on the stove top and allow to heat for some time. Allow the skillet to be entirely dry before pouring the olive oil into the skillet. Place the marinated meat piece into the skillet containing the hot oil and allow to brown for some time. Pan frying help to ensure the absorb ingredients remains within the frying pan. Also, do well to pay attention to the cooking to avoid burning. This method of using a skillet keeps the flavor within the pan and keeps it in check. 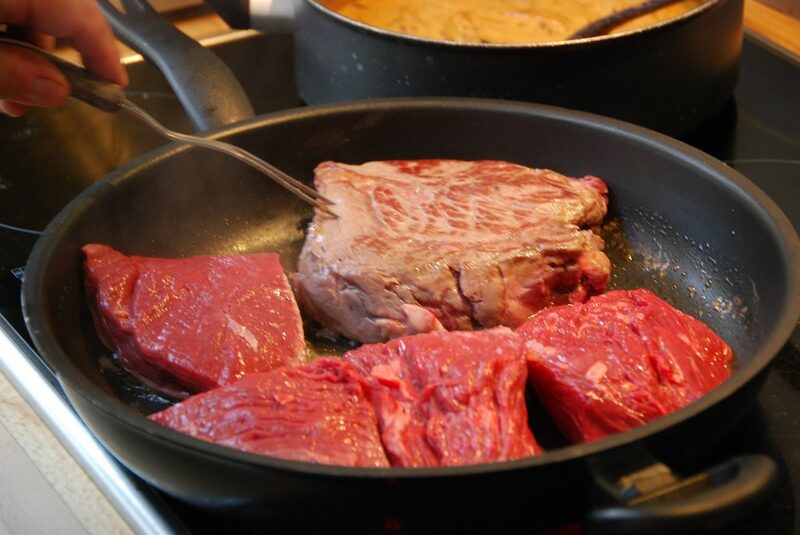 Continue cooking until doneness is reached turning the meat piece on either side every 2 – 3 minutes. Once doneness is reached, bring out the prepared meat piece and lay on a plate to cool. Sprinkle cheese on it and it is ready to be served. This is the most popular way of preparing this dish. It can be time-consuming but ensures that the dish is well prepared. This method should be used when the carne asada is to be prepared for a large number of persons because it gives room for the preparation of the large meat piece as a result of the width of the grill. More meat piece can be prepared at a time. Once the carne asada has being marinated, set your grill to medium-high heat and heat up for 5 minutes. Bring out the skirt steak or flank steak from the bag. 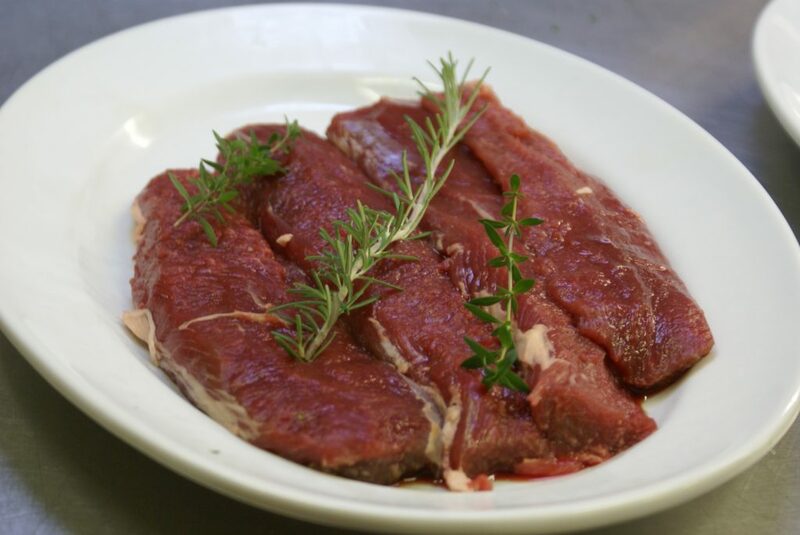 Place the skirt steak or flank steak on the table and apply olive oil around the meat piece. Place skirt steak or flank steak on the grill. Flip the skirt steak or flank steak and grill for five more minutes without allowing it to get burnt. Flipping will also ensure that the juice distributes through the carne asada. Remove the grilled skirt steak from the grill. Sprinkle some cheese on the carne asada tortas and the carne asada tortas are ready to be served along with the avocado paste. Both methods work perfectly but very different in the way they should be applied. 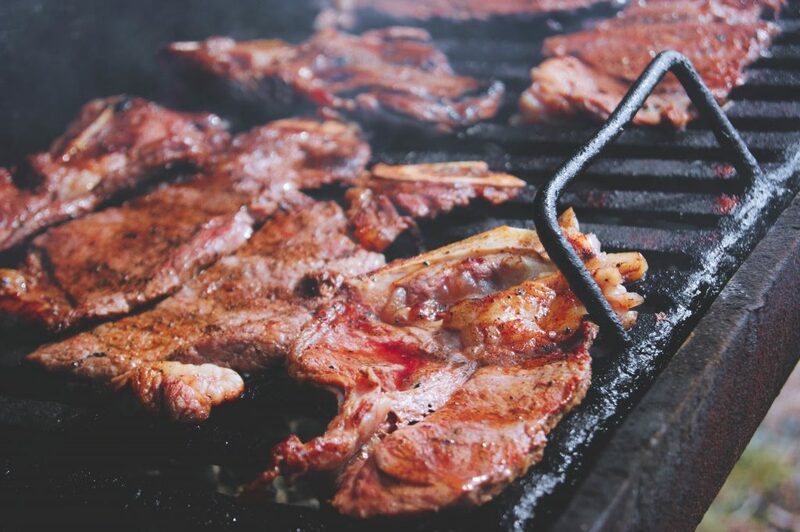 For carne asada prepared for personal consumption, preparing on a skillet works just fine but when this dish is to serve a lot of persons, then a grill is more preferably as lots of the carne asada can be prepared at the same time. The method of serving the carne asada prepared on a skillet is totally different from that prepared on a grill. When the skirt steak or flank steak is prepared on a grill, grill lines are produced and it, therefore, requires little expertise in cutting the carne asada as one would need to cut against the grill lines to prevent the meat piece from breaking off easily during consumption. But preparing the carne asada on a skillet eliminates the production of grill lines and hence gives more convenience as one will only have to cut the meat piece according to desire, relieving one of the needs for that little expertise. This dish can be served together with fries, rice, beans etc. So far as consumption is a concern, you should always have to be in concern with the rate of red meat intake. Carne asada has nutritional worth but when consumed in excess, it can pose a serious health threat. I incorporated this meal into my weekly menu but never for once have I had it more than 3 times a week. Precautions must be taken as far as this dish is the issue of discussion because as good as it taste, it can be really addictive. 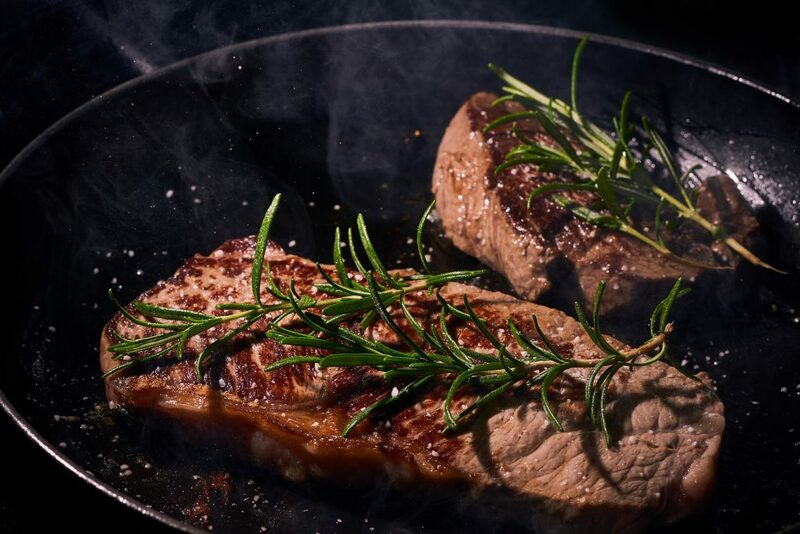 Also, during consumption of this dish prepared on a skillet, food mess during consumption is partially eliminated because the grill lines are absent and this prevents the meats piece from falling off when it is not properly sliced. There is always a compliment given after every first trial for everyone I have been opportune to come across and I know you will be given your verdict soon. This dish has a wide range of application and goes together with almost any dish you can imagine. If you intend to impress that lovely person or to show your spouse just how romantic and what amazing things you can do when you get busy in the kitchen, then you should definitely be making carne asada. Carne asada is a dish for all events and believes me when I say it is appreciated by all, not because of its heritage but because of its distinct taste and uniqueness. The major stand out quality of a pan fry carne asada is that there are no barriers as to how, why or where it can be prepared. Its preparation requires no special skills style of cuttings. In the absence of the most common tool of its preparation (a grill), a skillet can be used to cook carne asada. This optional benefit gives convenience and provides ease of preparation. There is nothing more pleasing than a satisfying dish and this is definitely what this dish provides.